A recent study published in the Journal of the American Medical Association [JAMA] shows a decrease in the number of new, early stage prostate cancer diagnoses, but that's because fewer men are being screened. 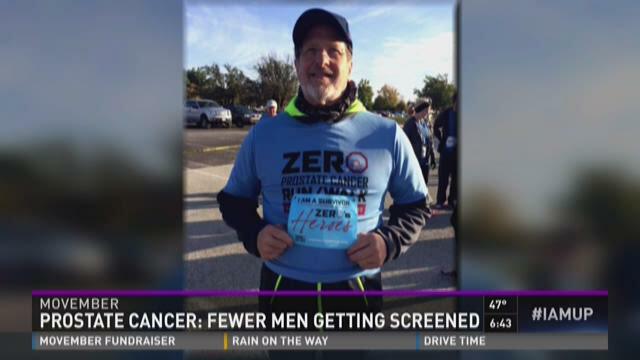 DALLAS — A recent study published in the Journal of the American Medical Association [JAMA] shows a decrease in the number of new, early stage prostate cancer diagnoses, but that's because fewer men are being screened. "I was going to the gym, working out, feeling great," said D. Schieferstein. The Air Force veteran never misses his yearly physical exam. "It was just something that was always on my calendar," he said. "It was never something that I did not do." Following a church mission trip to Ghana, Schieferstein's blood tests showed high PSA levels, which indicated he was at high risk for prostate cancer. Additional tests confirmed it. "It was a surprise," he said. "[I had] no symptoms at all." According to the American Cancer Society, there are roughly 220,000 new cases of prostate cancer expected in 2015 in the U.S., and a little over 27,000 deaths. "It's still a potentially deadly disease and it's one that can be cured if it's found early," said Dr. Pat Fulgham, a urologist at Texas Health Presbyterian Hospital Dallas. "Once [men] stop coming in for screening, we may see other disease processes get worse again, things we had made progress on before." Prostate cancer often grows slowly, and there are typically no symptoms. "Until we have a better understanding of who can live with this disease and who may die of it, patients should have the option of being treated early when the disease is still curable," Dr. Fulgham said. Still, screening for prostate cancer, very similar to screening for breast cancer, is highly debated for fear of over treatment. The American Urological Association recommends men at average risk for prostate cancer get screened starting at age 45, and continue annually between ages 50 and 70. High-risk men, including African Americans and those with family history, should start at 40. "All in all, I'm glad I did it," said Schieferstein, who credits screening for being alive today. His cancer was caught early and he opted to have his prostate removed. "There are side effects to having the surgery done and I'm glad I'm alive to be able to complain about those side effects," he said, adding that with the help of his doctor he's no longer experiencing any issues related to his radical prostatectomy. Some of the most common side effects for men who have their prostate gland removed include incontinence and sexual dysfunction. Schieferstein's experience, and his willingness to speak openly about it, encouraged his own cousin to get screened, too. "Luckily, I talked him into going back to Nebraska and having it checked out. He also had prostate cancer," Schieferstein said. The 59-year-old father said he plans to live long enough to see his grandchildren, and he wants to be part of helping to prolong the lives of other men as well.